The Soul Men are based out of Cleveland, Ohio, and are considered one of the top tribute groups in the country. 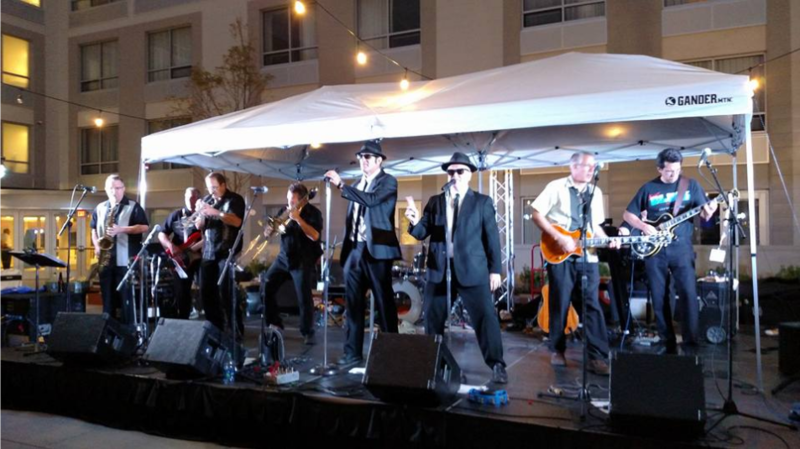 The Soul Men’s Blues Brothers impersonators perform tribute to Joliet Jake and Elwood Blues. The performance is a high-energy, fast-paced and audience participating routine. Paradis is Michigan’s premiere “all event” band. The Livingston County popular band is no stranger to Gazebo Concerts as they have played solo and backup to many shows. The six piece classic music group specializes in tunes from the 50’s to the 90’s.